Would You Drive A VW Beetle If It Had 438Hp? 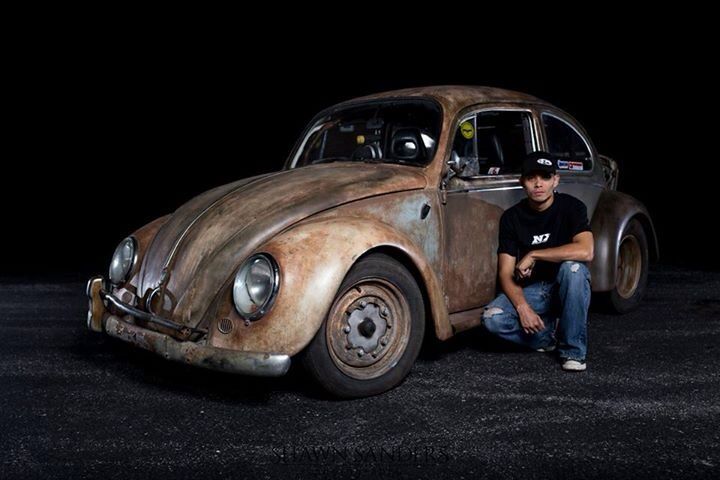 Meet the “Dung Beetle” that you might’ve seen on the hit show Street Outlaws on the Discovery Channel. 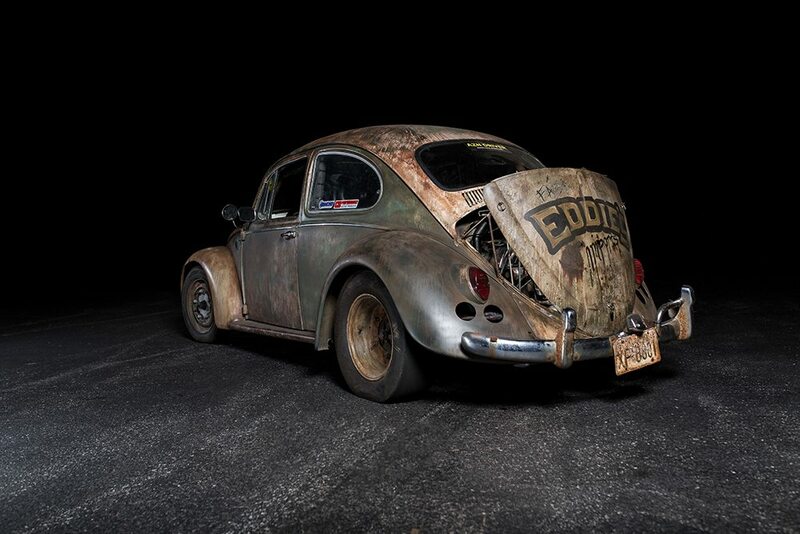 It may not look like much, as a matter of fact, it looks like a bucket of bolts, but if you notice the drag slick back tire you’ll know this isn’t your ordinary Beetle. It’s owned by a guy who simply goes by AZN (Asian) and while it’s not quite fast enough to compete on “the list” against Big Chief and the rest of the OKC crew, it’s still fast enough to beat almost any production car in a drag race. The reason being is that its an incredibly light car that’s had significant upgrades to the motor. Unlike most other drag cars, the engine is in the rear of the cars which means most of the weight is right over the top of the rear wheels which help provide much-needed traction. AZN has apparently been doing some major upgrades to the Dung Beetle, especially in the power department. Who knows maybe he wants to make it fast enough to compete with the big boys on the list. He installed a T3/T4 engine with a larger 62mm turbocharger that’s supposed to bring the horsepower up to 438, which in that lightweight, tiny little car is a significant amount. Especially considering the stock Beetles had less than 100hp. There was a time when AZN also had a bunch of nitrous on the Dung Beetle but I’m not sure if he still does or not. But let’s say hypothetically that he does, and that it’s not already been factored into the 438hp, that would mean potential of a lot more hp. Check out the Dung Beetle making a couple pulls on the dyno, and later this month on the Street Outlaws season 8 premiere, October 30th.